The reader should consider two key questions during this reading: How is it possible to remedy the failure in biosphere stewardship? and who benefits when the "full faith and credit" of all the people is converted into a national debt that pays interest? Hopefully this book will provide useful suggestions and insights. The money of a nation is a form of spiritual expression generally referred to as the "full faith and credit" of the people. Sometimes it is thought that secret organizations control money and society through a spiritual deference to demonic entities variously described as the Devil or Satan or Lucifer. 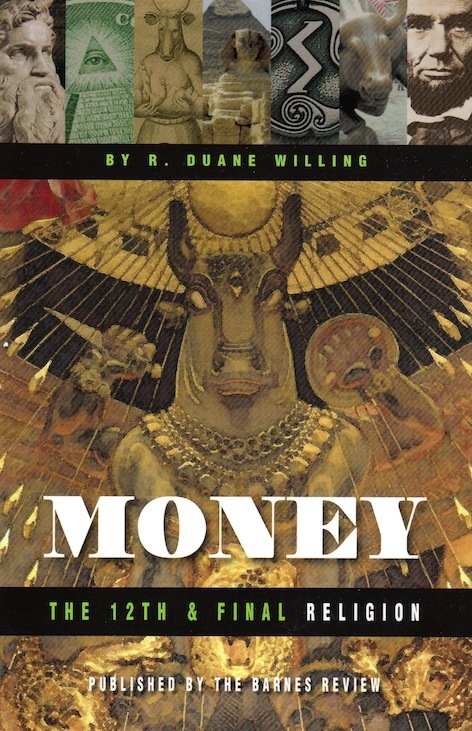 Prior to this book there is no record of reference to a Bible’s God Moloch and how that God moves through history displacing these evil representations as the true driving force of secret societies that control money.